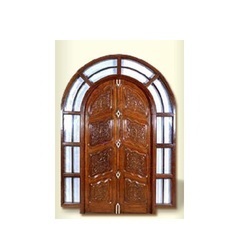 Our range of services include super deluxe carving door, wooden carving door, super deluxe wooden carving door, wooden door (carved radha krishna), wooden door (carved ganesha) and carved wooden door. We are the leading supplier of Super Deluxe Carving Door made from high quality material at competitive prices. We are the leading supplier of Wooden Carving Door made available to our clients at competitive prices. 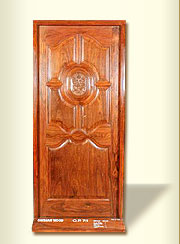 We are the leading supplier of Super Deluxe Wooden Carving Door made from high quality material at competitive prices. Wooden Door (Carved Radha Krishna) offered come in beautiful crafted finish as well as in innovative designs which make these highly desired by the customers. Made available in different size options, these flawlessly carved and crafted wooden doors also come with smooth and shiny polished finish. 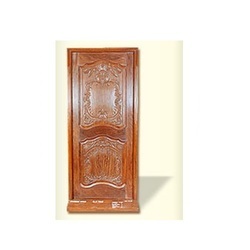 Some of its features include exclusive finish which makes these handcrafted doors match up with the tastes of customers, provide for high décor support to home interiors and exteriors, available in smooth polished finish, innovative combination of design patterns which make them all the more wanting and demanded. 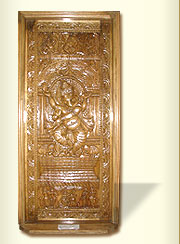 Wooden Door (Carved Ganesha) offered comprise quality seasoned wood based doors that feature enchanting and mesmerizing Lord Ganesha carving on the front. Further, the polished surface finish provided on frame work and wood panels also make these enhance the aesthetics of the surroundings. Finding use as main doors, these can be provided in different height and width options in exciting finish appeal that perfectly matches up to demands of durable usage. These doors also have capability to withstand adverse weather conditions and can be available in large and varied choices to pick from. 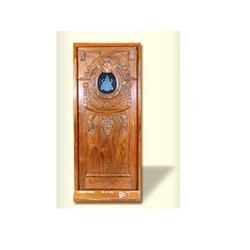 Carved Wooden Door offered comprise enchanting designed range that features exclusive finish standards. Made available in lasting construction finish, thee wooden doors can also be made available in intricate designed finish so as to perfectly provide for enhanced surroundings. Here, the expertise of our team also lies in providing for desired decorative value as well as in different designs and finish options so as to perfectly match up with the specific tastes of the customers. 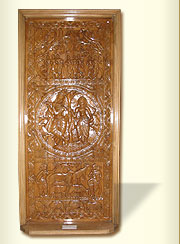 Looking for Carved Doors ?